A vulnerable young albatross at the heart of a special breeding programme in New Zealand has taken flight for the first time. 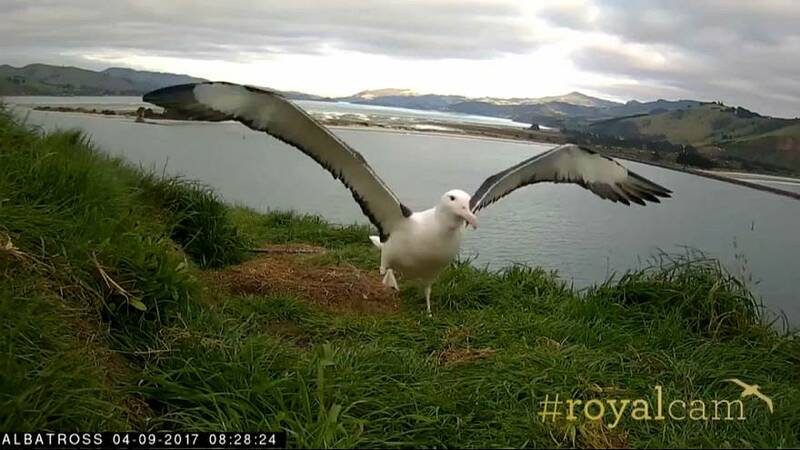 Bird lovers have been following the youngster’s progress via a popular webcam installed near Dunedin, in the south of the country. The Northern Royal Albatross is listed as an endangered species because ‘low habitat quality’ has led to a ‘rapid decline’ in its numbers. The breeding programme, run by New Zealand’s Department of Conservation, saw a webcam follow the birth, early life and feeding of the young bird. The camera has attracted more than 1.6 million views and the bird was given a name (Tūmanako) following a public poll.